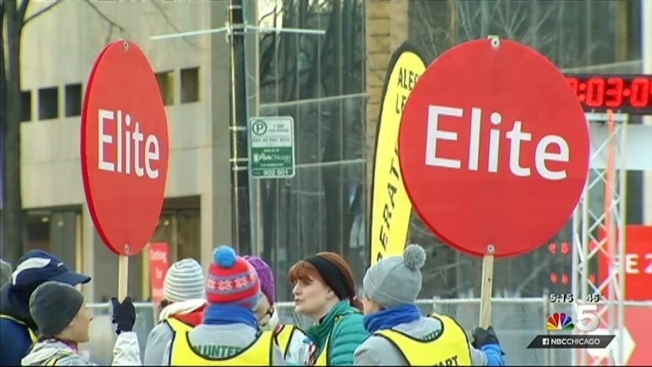 Thousands of runners hit the streets of Chicago in their running shoes for the 2015 Bank of America Shamrock Shuffle. The rain held off as the 23,000 runners completed the 8K race through downtown, but windy conditions made it a little more difficult for runners. "It was a little bit chilly out there and certainly windy, but you literally take it in stride," said Alexi Pappas, who finished the race in first place for women. "Even if the wind is hitting you, you still put in that race effort." Pappas finished the race with an unofficial time of 00:26:32 and an average pace of 5:21 minutes per mile. The Shuffle marked the second time the elite runner has visited Chicago. She first came to the Windy City to pace the elite runners in the Chicago Marathon in October. 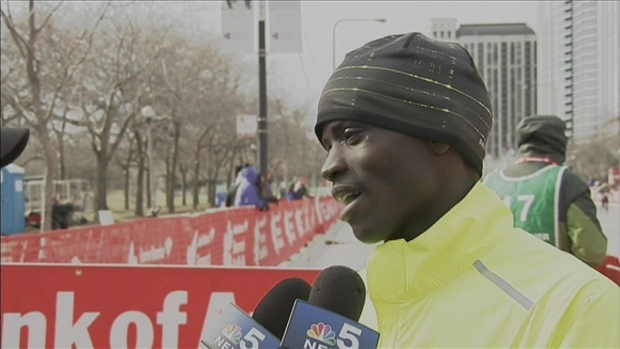 NBC Chicago's Regina Waldroup interviews the winner of the Shamrock Shuffle 2015 race, Stephen Sambu. Stephen Sambu, the 8K world record holder from Kenya, finished the race in first place for men. His unofficial time was 00:23:02, and he ran at an average pace of 4:39 minutes per mile. Sambu set the world record along with Geoffrey Mutai Kiprono in Boston in July 2014. This year's race marked Sambu's first visit to Chicago. "I love Chicago," he said. "Chicago is the best." Now in its 36th year, the Shamrock Shuffle has traditionally been the unofficial kick-off to running season in Chicago. The 8K race is also the largest of its kind in the world and the second largest race in Chicago after the Bank of America Chicago Marathon. Check out the results page to find out where your family and friends finished.